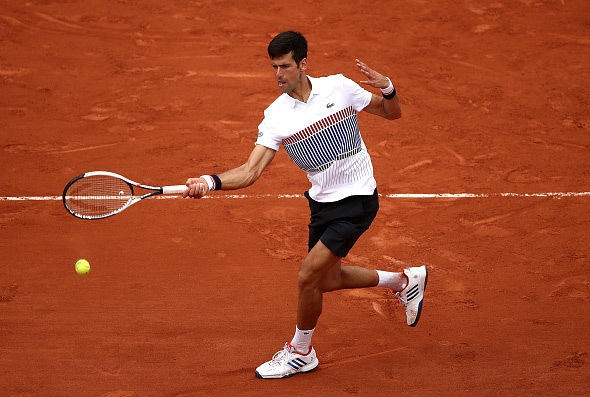 Reigning title holder Novak Djokovic started his 2017 Roland Garros campaign with a straight sets win. The second seed moved into the second round of the French Open on Monday, requiring two hours and 27 minutes to beat Marcel Granollers 6-3, 6-4, 6-2. The victory on Philippe-Chatrier Court was tougher than the scoreline suggests. Novak converted eight of his 20 break point opportunities, having saved six of 10 break points he faced. The 30-year-old Serb improved his ATP H2H with the Spaniard to 4-0. Match statistics: aces (5-5), double faults (1-0), winners (30-23), unforced errors (29-28) total points won (107-82). Next up for the 12-time Grand Slam champion is world no.59 Joao Sousa who advanced with a 4-6, 7-6, 6-2, 6-2 victory over Janko Tipsarevic. Novak has a perfect 3-0 career head-to-head record against the Portuguese. The second round match is scheduled on Wednesday. Should Djokovic retain his Roland Garros title this year, he would become the first man in the Open Era to win each of the four major championships on at least two occasions. Nole is now 56-11 on the Parisian clay, where he completed the career Grand Slam last year, beating Andy Murray in the final 3-6, 6-1, 6-2, 6-4.